For those external links provided on this website that you decide to follow and read, learn from and such, I am NOT responsible for the information and content in which they dispense on their particular website. This includes all of the advertisements on Poopbutler.com as well as externally linked websites. This applies to both commercial and non-commercial websites. Because I am not a qualified “expert”, I do not endorse nor do I personally recommend any particular dog association, club, business service or product. Further, if your dog is need of medical attention or suffers from a particular condition, I must defer you to a professionally qualified veterinarians and emergency care staff for a professional diagnosis. 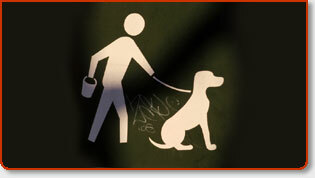 None of the information contained within this site is to be construed as medical advice, suggestions or advocating any particular healthcare methodology to treat or cure a particular injury or ailment your pet may possess. This entire website and any one given page, is not intended as a substitute for qualified healthcare counsel and treatment methodology. THIS WEBSITE DOES NOT DISPENSE MEDICAL ADVICE. Only the owner of Poopbutler.com retains all rights to the information written in this website as well as the html source code. This electronic document is for online personal use only and is not to be copied, redistributed, retransmitted, in whole or in part, by electronic means or otherwise, without prior written permission. The Poop Butler holds the copyright for all information and documents found under the Poopbutler.com domain. As such, The Poop Butler will take whatever necessary means to enforce its intellectual property. I feel it imperative to give fair warning to those who steal our intellectual copy (content) or source code (html), that Alexa.com has a tool called The Wayback Machine that can be of assistance. Used to prove (or in part prove) which website was the first company to upload their content to the web, and on what exact date, can in affect provide some means of determining which company stole content from whose website. Additionally, through Godaddy.com it is now possible to federally copyright all domain literary work via the U.S Copyright Office which issues a Registration Certificate as proof of acceptance inclusion. The trademarks, service marks and logos (the "Trademarks") used and displayed on this website are registered and unregistered Trademarks of Poopbutler.com, as well as their respective companies. Nothing on this website should be construed as giving permission, by implication or otherwise, any license or right to use any Trademark displayed at Poopbutler.com, without the prior written permission to each Trademark owner. The Poop Butler aggressively enforces its intellectual property rights to the fullest extent of the law. Fair and legal use of Poop Butler and other company Copyrights & Trademarks under the poopbutler.com domain require proper acknowledgment. Again, other product and company names mentioned in this website may be the Trademarks, Service Marks, or Register Marks of their respective owners. Any particular residential or commercial business information, including email and real property addresses, are used for the sole purpose on this website to merely improve on the readers experience. 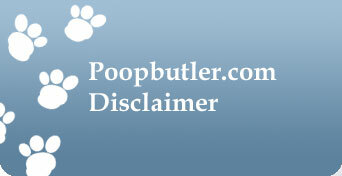 All information on Poopbutler.com is meant for educational purposes only. Email and real property addresses within this website from third party organizations will NOT be sold to other organizations. We value your privacy.